Toyota’s Hydrogen-Driven Car is all set to come on Road, But Are You? Half a year past to the introduction of the latest Toyota’s hydrogen-powered car Mirai, Toyota publicized that it would only have 8 dealerships in California to start its exclusive services to a very limited clients. Out of which, 4 dealerships will be positioned in the San Francisco Bay Area, whereas the other 4 ones will be available in the Los Angeles market. As stated by the latest Toyota’s press release, instead of approaching dealers in the market for placing orders for Mirai, the manufacturer is motivating the customers to go online and place their orders for the same easily. Toyota seems very confident about the potential sale of around 3,000 unites of its new hydrogen-powered Mirai by the end of 2017, if all goes as planned. The select 8 dealerships of Toyota have their certain level of expertise in retailing Toyota’s plug-in electric cars, and the most importantly, all of the dealers are suitably situated near hydrogen fueling stations. But building hydrogen is somewhat expensive and disappointingly challenging to find, even in the locations where emitting gas is highly prohibited. In California, “Green Power” solution continues to be the best choice. Toyota appears to be convinced that the hydrogen-powered car is the ultimate solution for the days to come when clean energy would be a big thing. 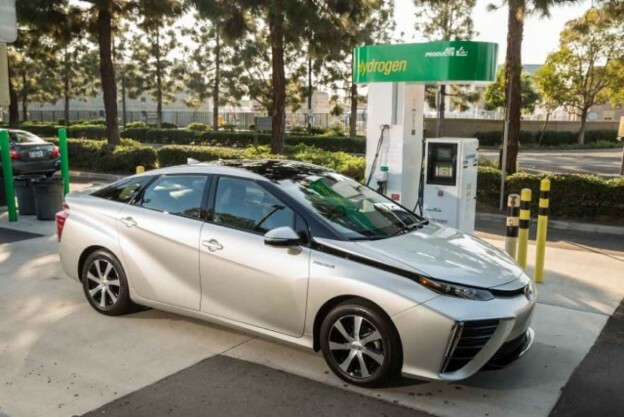 According to news, the US includes around 12 publicly reachable hydrogen fueling stations by now, among which most of the stations are situated in California. It is because of substantial grants for building fueling stations that the government is focusing on setting-up new hydrogen fuel stations. In quest of pushing up clean energy in the US, Toyota has planned to extend its support to the state-run government in building 12 more stations. This entry was posted in Uncategorized on May 13, 2015 by admin.